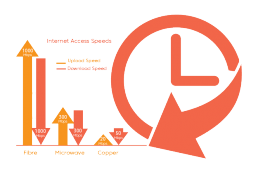 Reliable high speed internet access is critical for most organisations. Business activities such as transactions, e-mail and use of cloud-based services all require constant internet connectivity. We supply this connectivity across many internet access options to choose from. From our ultra fast fibre-optic network that can deliver over 100 Gigabits per second through to copper and microwave/radio point to point. We will help your business succeed with a customised internet solution. We offer a wide range Internet access plans to suit any type of business. We also understand that not every business is the same and your businesses may require something unique, and so, offer tailored solutions to meet your requirements. Click here to learn more about our plan options. We monitor our networks continuously to ensure every customer has access to reliable quality internet. We build our networks to withstand the harsh Australian climate including remote to ensure the best service delivery. Our high-speed fibre optic networks enable a full suite of services including voice, video and internet for all business needs. Quality communication is key to your businesss success. We understand this and offer a unique range of SIP (define) based IP voice services for both inbound and outbound calling. Our SIP based IP phone services are run across our dedicated Pivit Call Manager network. This allows us to provide reliable, affordable, high quality voice communication that you can count on. Pivits offers a range of options for your communciation needs. You can choose to have Pivit host your phone system in their cloud based network removing the need for costly infrastructure, third party vendors and limitations. Alternatively, Pivit can work with you and your suppliers to provide the SIP based IP lines. Pivits voice services enables complete customisation for additional features that may suit your business. features include voicemail, voicemail to e-mail PABX (multiple telephone lines for internal calls)integration with access control systems. What this means for you is that you can create an internal call network between multiple office or shop locations allowing residents in the operator free of charge. TVs are a great way to keep customers entertained, informed and engaged in your office, commercial or retail environments. Pivit can provide the ideal experience for your customers by supplyingFree-to-air and subscription TV services over our fibre optic network removing the need for unattractive TV antennas and satellite dishes. Pivit’s television services can also provide internal information channels such as airport travel channels and and even access to gate cameras or other content that may be specific to your business and industry needs. 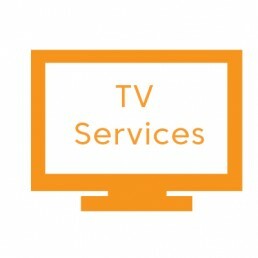 Contact us for more information today on our television services. Do you want to add an extra edge to your business. Give your customers the ability to connect to a guest network in your business name when you add Wi-Fi connectivity into your customised internet package. 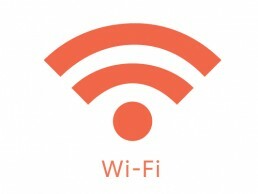 We provide Wi-Fi guest networks that will enable them convenient and easy access while keeping your business connection secure and seperate. Contact us today to talk to one of our sales reps about adding on Wi-Fi networks for your customers. Keep your business safe by installing integrated access control systems that work from the Pivit fibre optic network. From gate control to video and audio intercom systems, Pivit’s network is the best platform to provide the required connectivity for these systems due to the reliability and flexibility. Protect your business and look after your property by installing advanced camera and monitoring systems. Security cameras and associated network video recorders provide a deterrent to intruders and the evidence required to assist authorities if an incident does occur. From just a handful of cameras to hundreds of cameras across multiple sites the fibre optic network is more than able to transport this data. Pivit can also link your cameras to 24 hour security services so that you can offer immediate security intervention should this be required. Advanced liscence plate recognition (LPR) and even biometric facial recognition modules are also available for for businesses that require additional security options. Contact us today to learn more about adding security services into your internet access plans. Pivit’s fibre optic network is truly unique, unlike other telecommunication providers Pivit delivers a wide range of multiple services and systems over only one fibre optic cable to provide a truly integrated service.